Hollywood is in the middle of the movement, and while it continues to topple powerful men, at least one has thus far proved immune: Woody Allen. In an opinion column for the Los Angeles Times, Dylan Farrow, whom Allen and Mia Farrow adopted, questioned how the industry that finally toppled Harvey Weinstein and quickly turned on Louis C.K. continues to support Allen – and to silence his accuser. Farrow was seven when, according to her accounts, Allen got her alone in the attic and sexually assaulted her. Ultimately, a custody judge ruled that Allen's behavior was "grossly inappropriate" but the case did not go to criminal trial. Allen stands accused – just like Harvey Weinstein, Brett Ratner, James Toback, and more. And they're on their way the hell out of town while Allen soaks in another movie release. "It is a testament to Allen’s public relations team and his lawyers that few know these simple facts," Farrow wrote in the Times. "It also speaks to the forces that have historically protected men like Allen: the money and power deployed to make the simple complicated, to massage the story." Farrow points to the conflicting messages of prominent celebrities like Kate Winslet, Blake Lively, and Greta Gerwig, all of whom adamantly support the women coming forward to oust sexual misconduct in Hollywood but who shy away from Allen's personal history while working with him. Farrow's op-ed contains glowing quotes from all three actresses about working with Allen that are juxtaposed with criticism of Weinstein and others. In October, Allen expressed sympathy for Weinstein and warned against Hollywood embarking upon a "witch hunt." It's worth noting that one of the early Weinstein investigations after news broke was written by Dylan's brother Ronan. 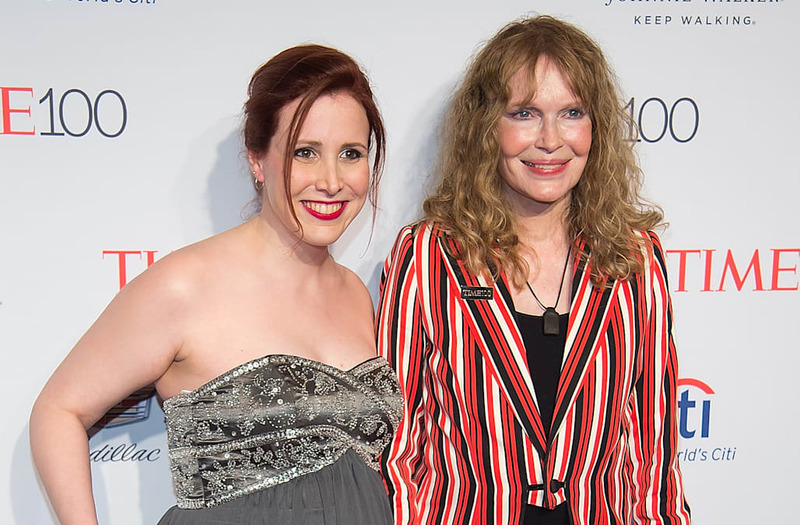 "It isn’t just power that allows men accused of sexual abuse to keep their careers and their secrets," wrote Dylan Farrow, who said it "breaks my heart" to see those she admires work with Allen. "It is also our collective choice to see simple situations as complicated and obvious conclusions as a matter of 'who can say'? The system worked for Harvey Weinstein for decades. It works for Woody Allen still."